The cornea allows light to enter the eye for vision. Here are the basics you should know about this important part of the eye. Viewed from the front of the eye, the cornea appears slightly wider than it is tall. This is because the sclera (the "white" of the eye) slightly overlaps the top and bottom of the anterior cornea. The horizontal diameter of the cornea typically measures about 12 millimeters (mm), and the vertical diameter is 11 mm, when viewed from the front. But if viewed from behind, the cornea appears circular, with a uniform diameter of approximately 11.7 mm. This makes the cornea about two-thirds the size of a dime. The center thickness of the average cornea is about 550 microns, or slightly more than half a millimeter. The corneal epithelium. This outer layer of the cornea is five to seven cells thick and measures about 50 microns — making it slightly less than 10 percent of the thickness of the entire cornea. Epithelial cells are constantly being produced and sloughed off in the tear layer of the surface of the eye. The turnover time for the entire corneal epithelium is about one week. Bowman's layer. This is a very thin (8 to 14 microns) and dense fibrous sheet of connective tissue that forms the transition between the corneal epithelium and the underlying stroma. The corneal stroma. This middle layer of the cornea is approximately 500 microns thick, or about 90 percent of the thickness of the overall cornea. It is composed of strands of connective tissue called collagen fibrils. These fibrils are uniform in size and are arranged parallel to the cornea surface in 200 to 300 flat bundles called lamellae that extend across the entire cornea. The regular arrangement and uniform spacing of these lamellae is what enables the cornea to be perfectly clear. Descemet's membrane. This very thin layer separates the stroma from the underlying endothelial layer of the cornea. Descemet's (pronounced "DESS-eh-mays") membrane gradually thickens throughout life — it's about 5 microns thick in children and 15 microns thick in older adults. The corneal endothelium. This is the innermost layer of the cornea. The back of the endothelium is bathed in the clear aqueous humor that fills the space between the cornea and the iris and pupil. The corneal endothelium is only a single layer of cells thick and measures about 5 microns. Most of the endothelial cells are hexagonal (six-sided), but some may have five or seven sides. The regular arrangement of these cells is sometimes called the endothelial mosaic. The remainder of the focusing power of the eye is provided by the crystalline lens, located directly behind the pupil. Most refractive errors — nearsightedness, farsightedness and astigmatism — are due to a less-than-optimal curvature or symmetry of the cornea. Presbyopia, on the other hand, is due to an aging change in the crystalline lens. Bowman's layer. The dense nature of Bowman's layer helps prevent corneal scratches from penetrating into the corneal stroma. Corneal abrasions that are limited to the outer epithelial layer generally heal without scarring; but scratches that penetrate Bowman's layer and the corneal stroma typically leave permanent scars that can affect vision. Corneal endothelium. The single layer of cells that forms the endothelium maintains the fluid content within the cornea. Damage to the corneal endothelium can cause swelling (edema) that can affect vision and corneal health. Appearance of arcus senilis (corneal arcus). Arcus senilis. As people get older, a white ring often develops in the periphery of the cornea. This is called arcus senilis (also called corneal arcus), and it's the most common aging change in the cornea. Arcus senilis typically is separated from the limbus by an area of clear cornea. The white ring — which is composed of cholesterol and related compounds — can be barely noticeable or very prominent. In older individuals, corneal arcus typically isn't related to blood cholesterol levels; but if it occurs in a person under age 40, blood tests should be performed to check for hyperlipidemia (abnormally high concentration of fats or lipids in the blood). Chalazion. A chalazion is a fibrous growth that starts on the outer sclera of the eye but can encroach upon the cornea, causing irritation, vision problems and disfigurement of the front of the eye. Dry eyes. 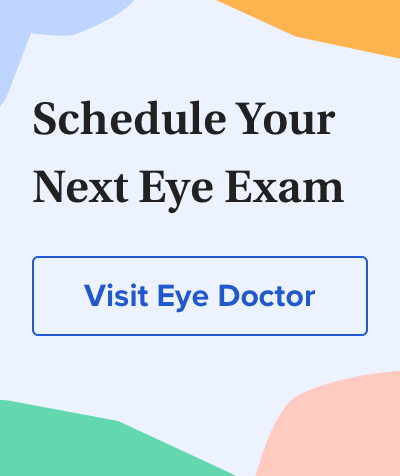 Though the cause of dry eyes typically begins in the tears gland and eyelids, it can lead to damage of the corneal epithelium, which causes eye discomfort and vision disturbances. Function of the cornea. Massachusetts Eye and Ear (Harvard Medical School) website 2017.